Playing a musical instrument comes with many benefits. There are many physical and mental advantages individuals benefit from when it comes to playing an instrument. 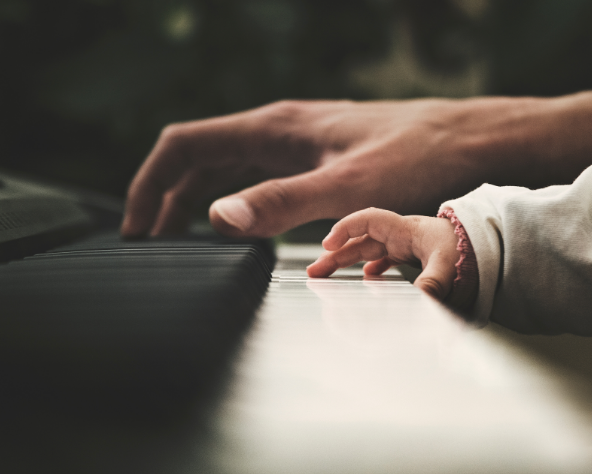 Piano playing, in particular, has a number of benefits that people of all ages can benefit from. No matter what musical instrument it may be, just know that’s it’s never too late to learn to play the violin, the piano, the guitar, etc. According to lindebladpiano.com, “specialized musical training in specific increments toward greater difficulty boosted second graders’ math skills significantly above their peers.” Research shows that when children learn to play music at a young age, their math skills tend to improve. It’s been proven that students who are musically trained have higher mathematics grades and standardized test scores, compared with students who have not studied music. Sound vibration is based upon vibrations per second so a pitch is determined by the speed of said vibrations. Rhythmically, timing includes studying fractions. Harmonically, it is all based on pitches played simultaneously such as 1–3–5 or 1–2-b5–5, etc. Melodically, piano playing is more algebraic. Knowing those numeric values of the notes, allow music students to play in any key. If you only know how to read letters, you can only play in that key. Music is all about numbers! No, we’re not saying music automatically gives the gift of good math skills, however, being musically trained helps improve mathematical skills in the long run. Like we stated before, it’s never too late to learn to play music. For more information about our music lessons and upcoming summer camp, visit our website.